Philosophical Problems in Science (Polish: Zagadnienia Filozoficzne w Nauce, abbrev. 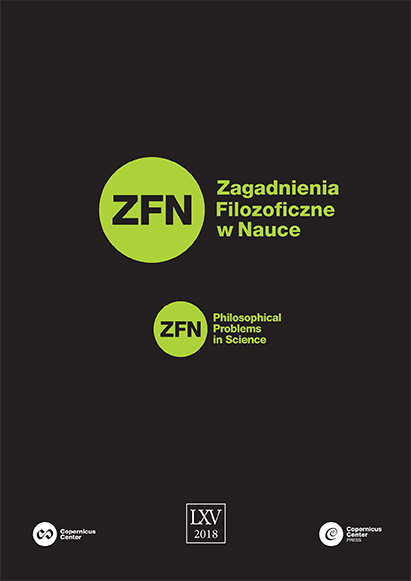 ZFN) is the oldest Polish journal dedicated to the philosophy in science. ZFN covers a wide range of topics of general interest to those working on philosophical problems involved in and intertwined with modern science (see Focus and Scope). ZFN has originated from a long tradition of Krakow philosophy of nature dating back to the second half of the nineteenth century (see Journal History). The journal policy is to continue the tradition of mutual discussion between philosophers and scientists. What does it mean ‘to exist’ in physics? Black holes: do they exist? Can we prove the existence of completely random events? Contemporary problems in medicine – technique or ethics?